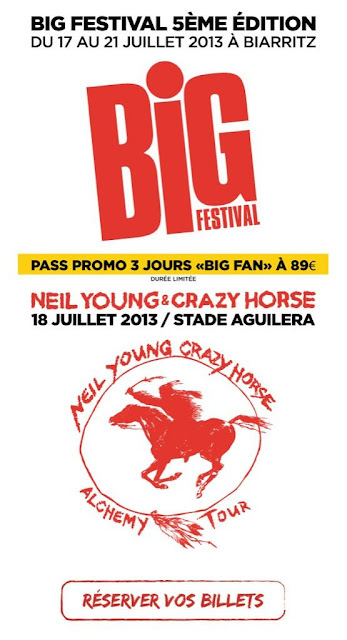 Neil Young & Crazy Horse will be performing tonight at Big Festival, Biarritz, France. Sublime Human Highway! Great quality video. I was there, front row, it was pure genius ! I know I am a bit late but I'm writing because N.Y. played a show in Biarritz, France on my Birthday, July 18, and all would be good with me for all time if it was possible to get a poster of that show, or a t-shirt with the date?